You can keep your USS Enterprises and your Battlestars Galactica. Give me the fastest hunk ‘o junk in the galaxy any day. 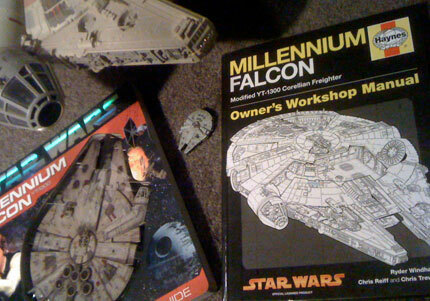 I just picked up the Millennium Falcon Owner’s Workshop Manual the other day from Amazon.uk (it’s not available in the U.S. until next year). 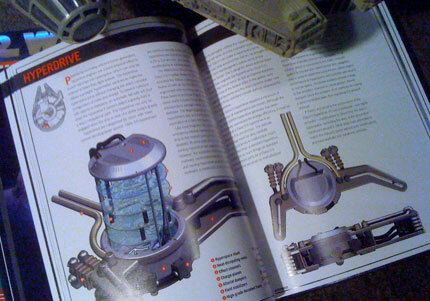 If there’s anything you ever wanted to know about everyone’s favorite tramp freighter, from how the hyperdrive works to how to fly through an asteroid field, it’s in the book. I’m a big geek for this kind of thing: making up explanations for every little thing and presenting the imaginary as real. 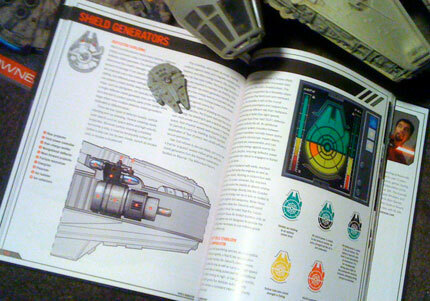 Pair this book up with the 3D Owner’s Guide and you’ll be modifying that YT-1300 you’ve got parked out back in no time. 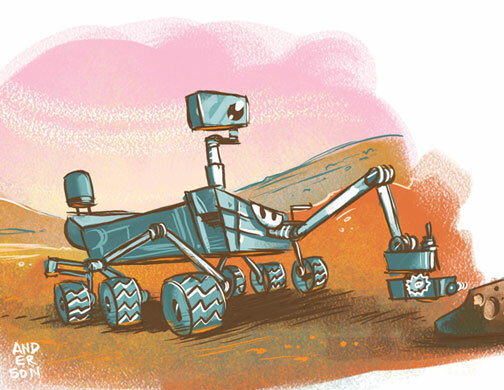 Hey, tomorrow is the launch of the Curiosity probe to Mars. In about nine months we’ll have brand new spectacular images and science type info from the red planet! I posted this earlier in the year, but seeing as tomorrow is Thanksgiving here in the U.S. of A., I thought I’d repost it for those who haven’t seen it before. 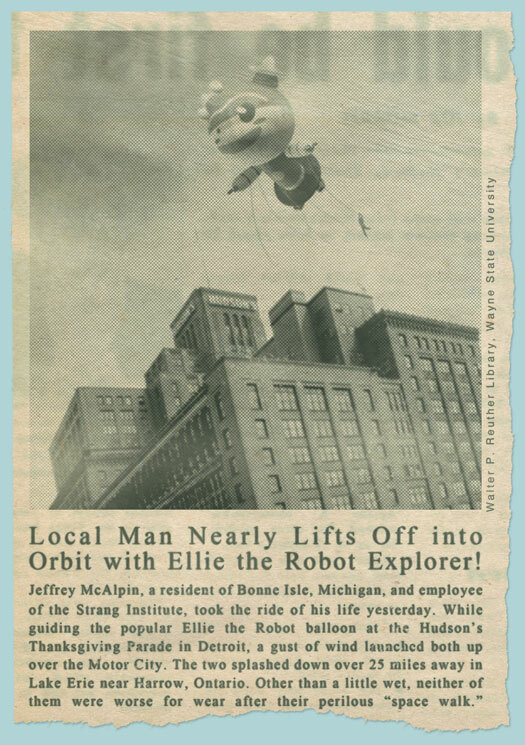 Back when Ellie was launched into space in 1972, she was super popular. Beyond super popular. She was everywhere and on everything. She even had a balloon in the Thanksgiving parade that made quite a news story back in the day. This is a clipping from the Bonne Isle Bumblebee of November 24, 1972. See ya tomorrow for Thursday’s installment! We’ve been known to attempt a poetical waxxing from time to time, but for some really fun wordplay, check out The Daily Rhyme. Scott Emmons’ rhymes are about everything, including current events, junk food, Harvey Pecar, Betty Crocker, and even extrasolar planets. And they’re always funny. There’s some adult language and themes smattered about, so be forewarned. It would be the coolest pet! You can keep your dogs and kitties. 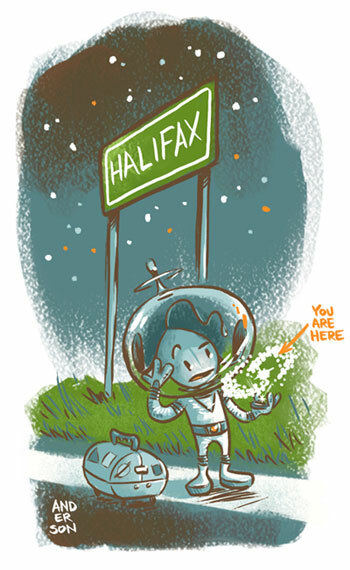 A few months back, Joel Duggan of the webcomic Starcrossed made some fantastic fan art for us here at Ellie Central. I thought I’d return the favor by doing some for him. Joel was also one of three people who interviewed me back in July for Comics Coast To Coast. So do us here at Mission Control a favor and visit the excellent comic that is Starcrossed. Tell them Ellie Sent you. The story goes that way back in the day, a young Professor Strang read J.R.R. Tolkien’s The Hobbit and was enthralled. That book inspired him to lead an adventurous life of his own, eventually culminating in the discovery of Planet X. He then sent Ellie on her own great adventure and the rest is history. Pretty much everyone here at Mission Control is a big hobbit geek, and we’re all looking forward to the movie coming up next year. 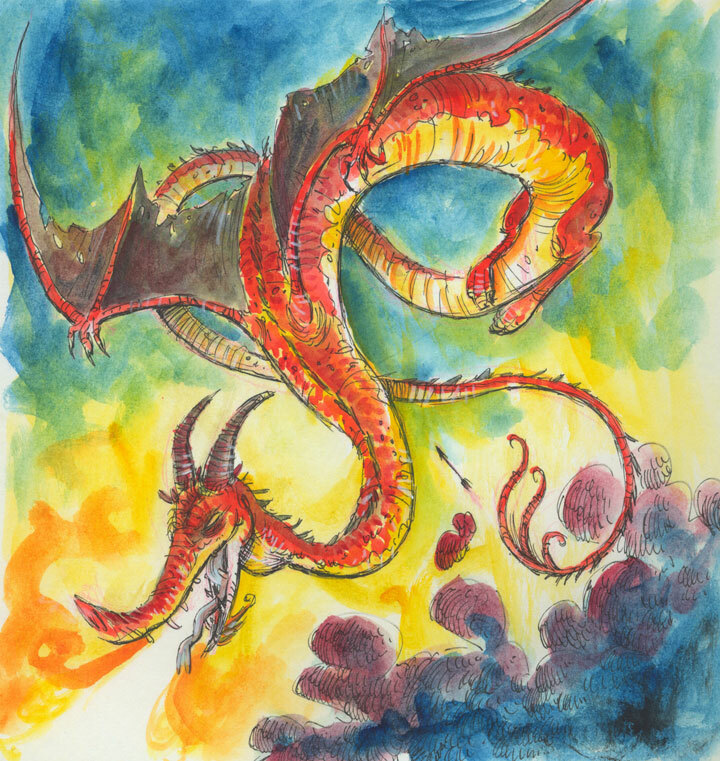 Here’s a little watercolor of Smaug the dragon from my sketchbook! 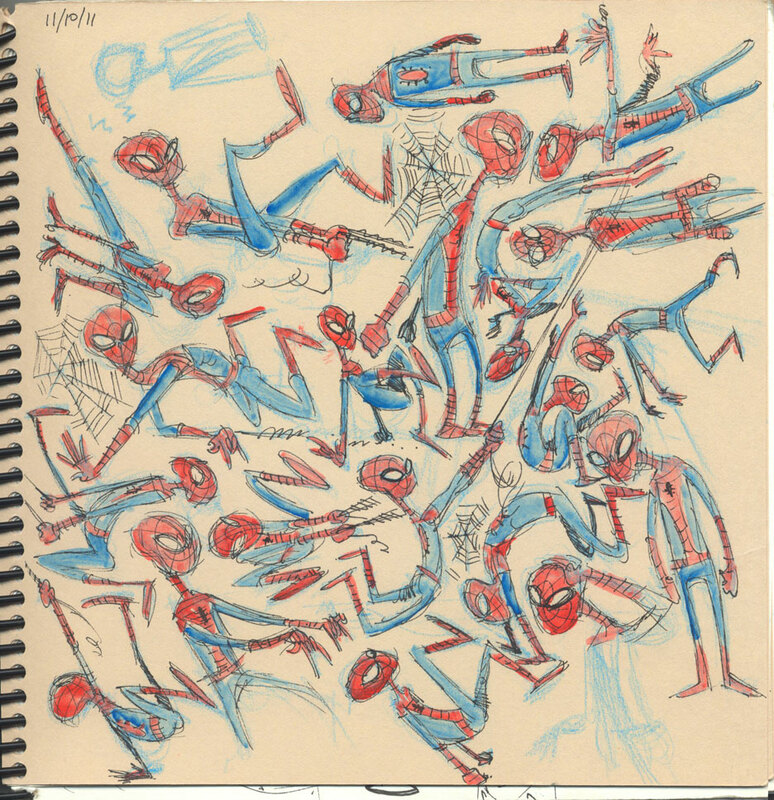 I’m not a big superhero fan, but I loves me my Spiderman. 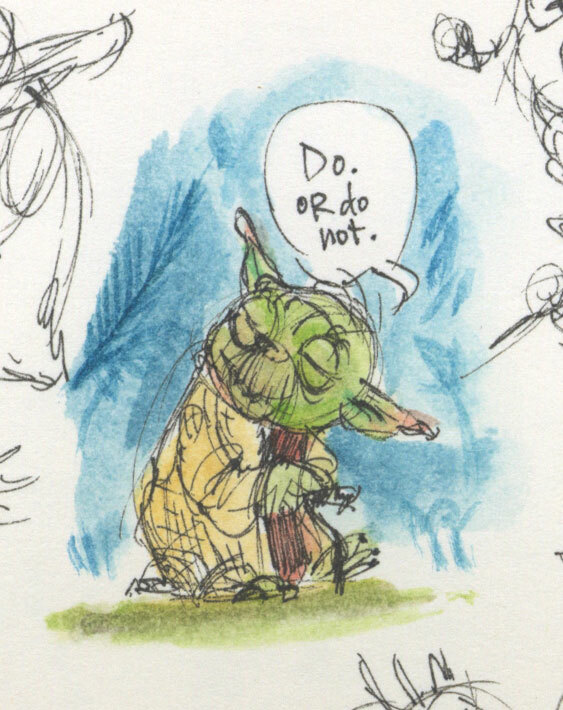 He occasionally makes an appearance in my sketchbook too as he’s just fun to draw. I like making him a skinny kid that’s just all arms and legs. 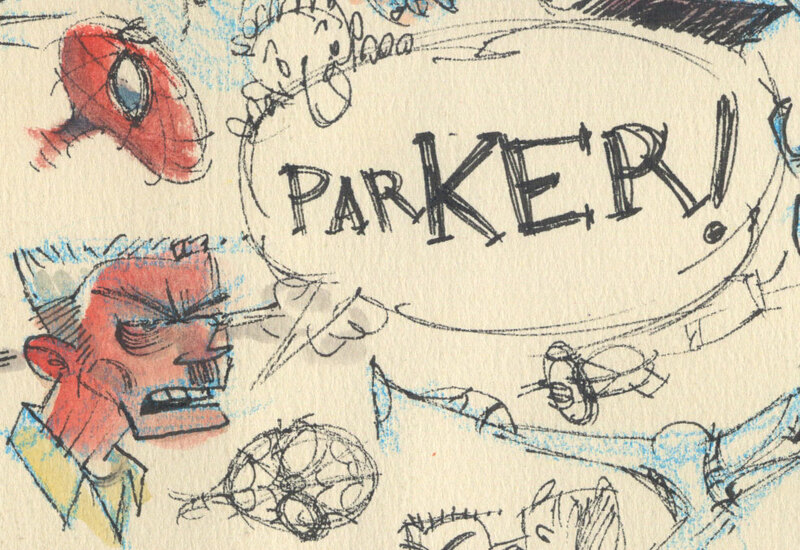 I also include here a sketch of the unsung hero of the Marvel Universe, J. Jonah Jameson. I wonder how he’s going to handle editing a newspaper in a dying industry (although I understand he’s mayor of NY or something now? I don’t read the comics, so I have no idea). 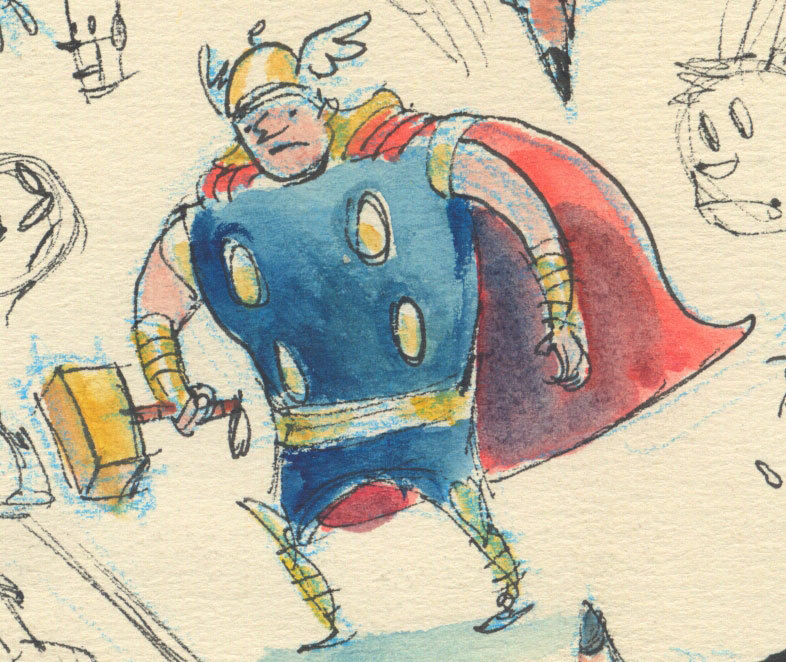 Oh, and there’s a Thor at the bottom too. Enjoy! I haven’t seen this commercial for discovery.com in a long time. I believe it originally aired way back in 2000. It makes me giggle every time I see it. Check out the mosquito and half dead fish commercials too.